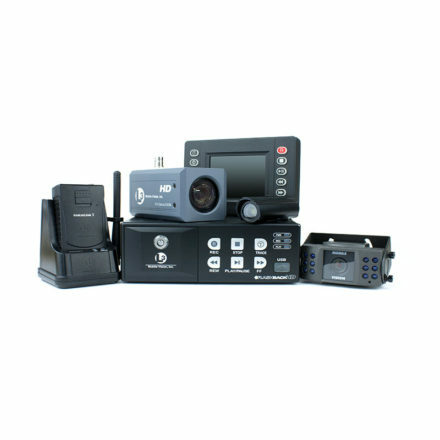 Our Flashback HD system provides the ultimate video capture solution. The new streamlined camera is highlighted with a 10x optical plus 12x digital zoom. This allows you to capture images at greater distances while our high definition video technology provides for the maximum level of image detail. This revolutionary camera can be rotated 360 degrees, allowing video to be captured inside or out of the vehicle. Equipped with our exclusive Nite-Watch technology, the camera intuitively highlights objects in shadowed areas and prevents glare from headlights providing the ultimate experience in high definition. Equipped with 720p30 HD resolution, a 70 degree field of view, fixed focal length, a 3x digital zoom, and can be rotated 360 degrees for multiple viewing angles. Capability to store video in HD or D1 to keep file sizes down and reduce the size of servers needed to store video. FlashbackHD seamlessly integrates with existing Mobile-Vision back office software and is compatible with all Flashback products.